WOLFVILLE, NOVA SCOTIA — Unless you’re an extreme oenophile (or a Maritimer), you’ve probably never heard of the Annapolis Valley. 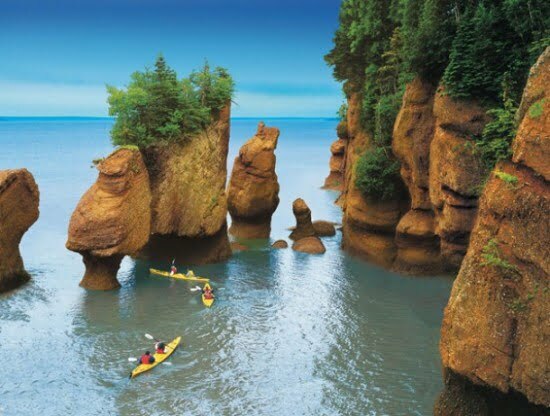 Anchored against the Bay of Fundy, home to the world’s highest tides, and laced with undulating hills and vibrant orchards, Nova Scotia’s Annapolis Valley is a picture of bucolic charm. Brimming with natural phenomena and true east coast hospitality, late summer and early fall is one of the best times to visit this little-known locale. Wolfville, a postcard-pretty town located just an hour from Halifax and Halifax Stanfield International Airport, is the perfect starting point to explore the vineyard-infused valley and charming fishing villages hugging the coast. This university town screams romantic weekend getaway and you’re sure to fall in love with the vibe as you stroll down its colonial streets, stopping for a pint in quaint pubs, before bedding down in a historic B&B. 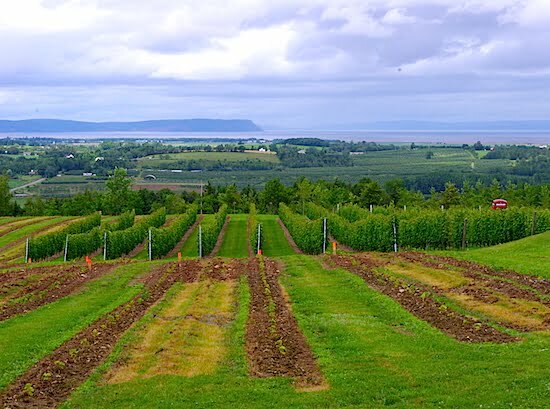 Everyone knows the secret to great wine lies in the terroir, but few recognize the Annapolis Valley with its fertile soil and moderate Bay of Fundy climate climate as producing some of Canada’s finest wines. There are about a dozen wineries operating in the valley, and it’s worth sipping your way through a few, if only so you can find your favourite version of Tidal Bay, Nova Scotia’s (and Canada’s only) appellation wine. With a traditional red British phone booth set in the middle of the vineyard and a prime position overlooking the lush Gaspereau Valley, Luckett Vineyards is one winery worth phoning home about. (Actually, the phone booth works and you can place a free call to anywhere in North America.) This winery is an Instagrammer’s dream and its grapes ain’t bad, either. 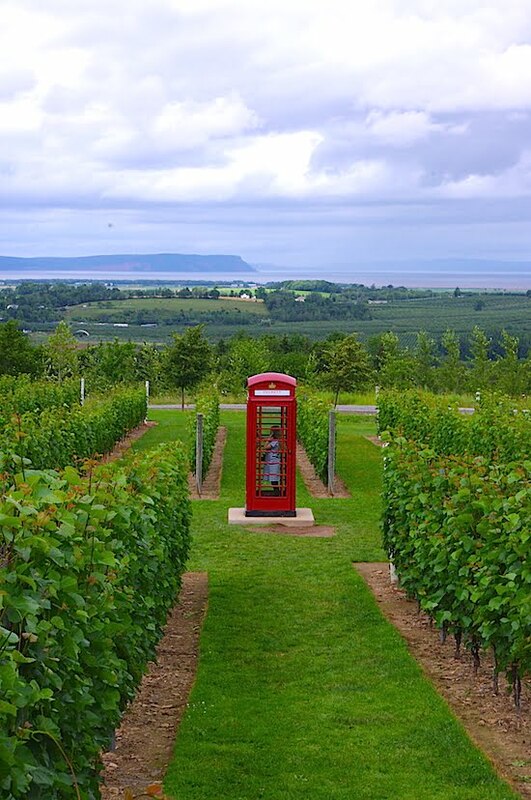 The 2010 Phone Box Red won a Canadian Wine Awards medal and the vineyard has also placed at the All Canadian Wine Championships. If there’s a tasting room with more spectacular views, I sure haven’t drunk it in. After sampling, treat yourself to a patio meal at Crush Pad Bistro, while feasting on the views of the bay. Boutique estate winery Domaine de Grand Pre should also be on your hit list. Voted producer of the year at 2014 Taste of Nova Scotia Prestige Awards and racking up a slew of other awards, it plants Nova Scotia’s signature varietal L’Acadie Blanc. Besides a friendly tasting room, its restaurant Le Caveau was voted one of the world’s best winery restaurants by Wine Access magazine. Boasting a lovely garden, Domaine de Grand Pre will tempt you to take walk through its vineyard for prime viewing of Grand Pre, a UNESCO World Heritage Site. Vacay.ca Tip: At the crossroad between Domaine de Grand Pre and Luckett’s lies Evangeline Inn & Motel Cafe. Stop here to for a slice of home-baked pie. The Annapolis Valley was home to some of the first farms and vineyards in the new world. A French vintner was brought over in 1636 to develop this fertile soil and during the next 100 years Acadian-grown produce and wine was shipped around the province. By 1750, Grand Pre was home to the largest settlement of Acadians (descendants of 17th-century French colonists) in the Maritimes. Jealous of the close relationship the French cultivated with First Nations communities, the British flexed their military might and deported thousands of Acadians in 1755 from this region. Their plight is documented at Grand Pre National Historic Site, just outside of Wolfville. This memorial marks one of the centres of operations for the deportation of the Acadian people and its significance has been recognized by the United Nations. Tour the site with its impressive artifacts and multimedia displays to learn about this tragic upheaval and the richness of Acadian culture. Does a freshly cooked crustacean taste better when dipped in melted butter while overlooking a real working harbour and inhaling great gulps of sea air? The folks at Halls Harbour seem to think so. Halls Harbour is one of those authentic active fishing villages that could easy double as a movie set. The big fish in town is Halls Harbour Lobster Pound, the largest lobster holding facility in Canada. Best is the sweet Bay of Fundy lobster supplied by local fishermen from their traps in the bay. 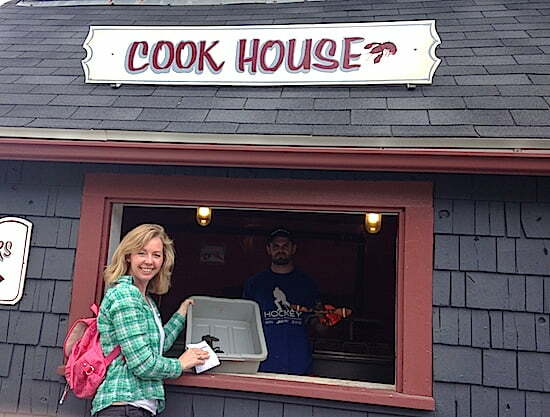 Part of the fun is picking your own lobster from the tank, before walking it over to the cookhouse, where it is then plopped into the pot for you. It’s not fancy. Think plastic tables with a few flies buzzing about. But it serves up good, honest seafood. Vacay.ca Tip: Lobster here is properly packed and shipped around the world — in case you’re looking for a decadent souviner of your trip! As delightful as your seafood feast will be, it’s the tides hugging this jagged coastline that make the region so special. Fishing boats wait patiently on the seafloor during low tide and within a few hours, the tide will rise — as much as an inch a minute. Then the boats will b seen bobbing in the harbour. The Annapolis Valley might not be on the well-trod tourist trail yet, but I suspect very soon that’s all about to change. For More Info on Planning Your Trip: Visit the website for Nova Scotia Tourism.